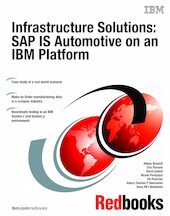 This IBM Redbooks publication describes a proof of concept project conducted by a team of IT specialists from IBM, SAP, and an automotive industry client. The project involved developing a supply chain management implementation for complex make-to-order repetitive manufacturing for configurable products, specifically the production of a variety of automobiles destined for an international market. The project was based on the current and projected requirements of the automotive OEM. The performance testing described here was undertaken because the volume of data to be processed surpasses that of other SAP implementations of the make-to-order scenario currently in production. The purpose of the tests was to ensure that the application could be restructured to meet the requirements of this data volume and that the IBM infrastructure would be capable of processing this load in the tight time windows specified by the customer's business processes. The customer selected a set of SAP functional performance tests and defined run time targets for these key performance indicators. The modules tested were Rapid Planning Matrix, Materials Requirements Planning, Backflush, and Materials Ledger. Actual data was provided from the customer environment. The test environment included IBM System z with DB2 for the SAP central services and databases, System p (AIX) for the SAP application servers and liveCache, and a DS8300 Turbo with 13 TB capacity for the data. The tests were performed with mySAP ERP 2005 with IS Automotive activated; the workload was simulated through specific BladeCenter injectors. IBM and SAP performance experts ran the benchmark tests and made some configuration adjustments. The result was an implementation that met the customer's requirements. These tests will influence major customer automotive architecture decisions.